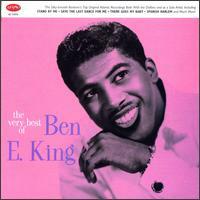 The California sounded like Wembley on World Cup day when Ben E. King appeared on Saturday. Ben had just finished his 25-minute stint when the chants of BEN E. KING!!! started. I achieved one of my greatest ambitions when I spoke to him before the set, and he said this was typical of the reception he had received during his tour. 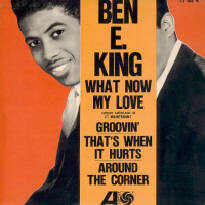 Ben started with “Be young, be foolish” and changed the tempo with a soulful version of “By the time I get to Phoenix”. 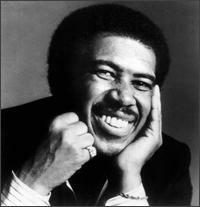 Cheers went up when he announced his latest record, but the cheers were greater when he followed with “Spanish Harlem”. In the 25 minutes, Ben sang 18 numbers which included: Save the last dance for me, Will you still love me tomorrow, I ( Who have nothing ), Papa’s got a brand new bag, Stand by me, I’m going to make you love me, What is soul? It’s growing, Can’t turn you loose, and the national anthem of the pop world, Amen. His whole performance was extremely professional, and as with all soul singers, seemed to sing to each individual member of the audience.As a person, Ben is very likable. He is quiet, very polite and always pays attention to you while you talk to him. Some of our pop groups who have just made the grade would do well to copy his example. In just two weeks, Dunstable’s pop scene has returned to its former position. Popular English groups have appeared in Dunstable in the past months but now some imported stars are finding their way to the town’s dances. On Monday, Desmond Dekker and the Aces appear at the Queensway Hall. Israelites is now number 31 in the charts and will undoubtedly go higher. Tomorrow the great Marv Johnson appears at the California. Singer, writer and producer, Marv is one of the finest examples of the Detroit sound. 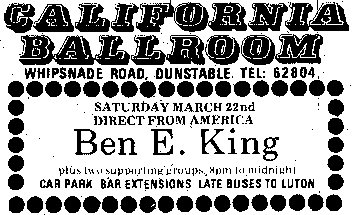 Dunstable Gazette, Friday March 28, 1969.